Fifteen year old Zach Veach describes himself as “any other kid chasing his dream.” He loves remote control race cars, playing with friends, and training his German Shepherd, Annie. Zach Veach of Stockdale, Ohio may not be eligible to receive a driver’s license but his passion for car racing has made him one of the youngest drivers in the history of the sport. Zach began his racing career at the age of 12 in go-karts. In 2007, father of IZOD IndyCar Series driver and team owner, Sarah Fisher spotted Zach at a go-kart racetrack. For the next two years, Fisher coached Zach and by the middle of 2009, Zach progressed from entry-level karting to Formula BMW. In late 2009, Zach was signed by Jensen Motorsport to compete in the Atlantic Championship Series, before it folded in early 2010. During his transition to Formula BMW, Zach also began working with Eric Jensen, the 2009 Atlantic Championship Series “Team Owner of the Year” and with his help, Zach has been able progress from Formula BMW to the 170 mile-per-hour Formula Atlantic Championship/Swift 1-A open-wheel car in just two short months. And, in March of this year, Zach added another feather to his cap. 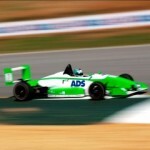 “I signed with Andretti Autosport, a team owned by racing legend Michael Andretti. It was like a dream come true for me. I’m not only racing with one of the best teams around, but I’m also a part of the ‘Road to Indy’ program. It’s a ladder system that helps develop drivers to hopefully race in the IZOD IndyCar Series in the future. It helps me make the right connections and gives me the opportunities to develop and hone my driving skills in ways I couldn’t on my own,” he notes. 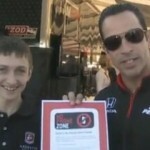 Along with his 2010-racing schedule, Zach is also managing his high school work and a driver education program called: “Ziggy’s Teen Safe Driving Campaign.” Zack describes a personal experience that moved him to teach teens about safe driving: “I was really disturbed when a teenager who lived near my home was killed due to an auto accident. She was way too young to die. I looked into it more, and learned that a lot of car accidents are caused by texting or distracted driving. I really wanted to help educate others about the dangers of texting and driving so this wouldn’t happen again,” he says. Zach’s campaign encourages teens to put down their cell phones while driving and he is working hard to make it a success. He is organizing a teen safe driving program at Autobahn Country Club in Joliet, Illinois this summer. He has talked to members of the Ohio State Legislature for more support. He is also collaborating with Oprah Winfrey as part of her “No Phone Zone” program to further promote his cause. 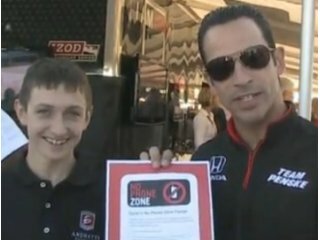 Zach has also campaigned on behalf of Winfrey by obtaining the signatures of 33 Indianapolis 500 professional race car drivers. Zach, also, realizes the importance of technology in today’s world and is using it to create a solution for teen texting. “If you think a text message can’t wait, pick up my iPhone or Droid application which automatically sends a message back to the sender that you’ll text them when you’re finished driving,” he says. This summer, Zach has been working with his co-author, Lindsey Gobel, to write a book as part of the 99 Series. The book is titled “99 THINGS YOU WISH YOU KNEW BEFORE YOU TURNED 16” and is set to be released on his 16th birthday, December 9, 2010. “It’s been a long process but will be really rewarding,” he says. 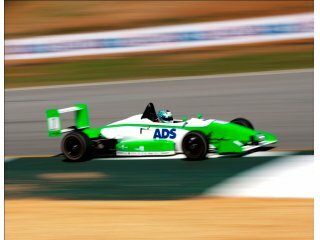 In spite of achieving so much, Zach’s ultimate passion lies with car racing and he hopes that one day he’ll become an IZOD IndyCar Series and Indianapolis 500 professional race car driver. “As long as I keep working hard and things will keep going smoothly, I hope to be in Indy Car,” he says enthusiastically. We look forward to following Zach’s career and support his efforts to help teach teens about safe driving and making cars a “No Phone Zone.” Keep up the great work, Zach!